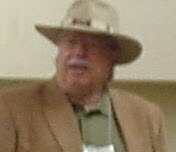 At the most recent MUFON Symposium, I had a chance to talk with Ron Regehr (seen here), who, at one time was working with the late J. Bond Johnson. Now I had seen Regehr at other conferences, but I had never brought up Johnson and neither had Regehr. This time I asked some questions about this and got an interesting answer or two. 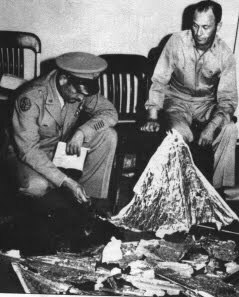 Johnson was the reporter/photographer from the Fort Worth Star–Telegram who had taken the pictures of Brigadier General Roger Ramey in his office with what was alleged to be the debris found outside of Roswell, New Mexico. Given the style of the pictures, it seemed that Johnson had taken six. Two of Roger Ramey, two of Ramey and his chief of staff Colonel Thomas DuBose (seen next) and two of Major Jesse Marcel (seen last). A seventh picture, of Warrant Officer Irving Newton was taken by someone els e at a later time. Johnson had, at one point, claimed that only he had been in Ramey’s office and only he had taken pictures. He seemed to be hung up on this and suggested that the picture of Newton didn’t count and that it hadn’t appeared in any newspapers. This would prove to be wrong, though Johnson seemed to have a difficult time understanding this. Johnson told me, during our first interviews he was confused by the photograph of Marcel. 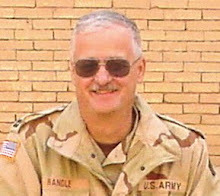 He didn’t think he had taken it, yet the negative was in an envelop with a picture of Ramey. Many of us, including Johnson, concluded that he must have taken the pictures, but didn’t remember doing it. Not so, Regehr told me. He said that photo analysis suggested the picture was taken with a different lens than those of Ramey and Ramey and DuBose. The difference in the lens size was so insignificant that it made no sense for Johnson to have swi tched lenses to photograph Marcel. That meant a third photographer in the room at some point. Johnson was one, another who took two pictures of Marcel, and because the negatives ended up in the same envelop, that would suggest the photographer was from the Star–Telegram... though that makes little sense. They already had the pictures of Ramey and Ramey and DuBose so why send someone else out there to take two of Marcel. And, of course, the picture of Irving Newton, which is so different from all the others it is obviously from a different photographer and a different camera. What does this bit of minutia mean? Well, we have, in the past, come across information that suggested that the material on the floor in Ramey’s office got there before Marcel arrived with the stuff from Roswell. Johnson said that he was the first photographer out there and I have no reason to discount that. So, Johnson took four pictures of the stuff and went back to the newspaper. Marcel arrived and someone else took pictures of him with the stuff, which were printed all over the next day. Later, Newton arrived, identified the weather balloon... after the Dallas Morning News had talked to Major Kirton who said it was a weather balloon, and someone took his picture. But the point here is that Regehr said that his analysis of the pictures of Marcel showed that there was a third photographer who has never been identified. Interestingly, Regehr told me that Johnson, once he had seen the math, believed Regehr. I confess I don’t know if this is an important addition to the Roswell story, but it certainly is an interesting one. It suggests a time frame for the photographs in Ramey’s office, and coupled to other information, suggests the balloon arrived before Marcel, which might be the most important outgrowth of this. A suggestion of duplicity by the Army Air Forces, but one that remains, at the moment, speculation. There is a flaw in the Eisenhower Briefing Document (EBD) that has gone unnoticed since the MJ-12 controversy first erupted more than two decades ago. It is one that gives us a time frame for the thinking in the early 1980s and tells us that the document is a hoax. It goes beyond the misspellings, beyond the grammatical errors and beyond the flawed history. It tells us that the document is not authentic and even points a finger at one of those who might have had a hand in creating it... and no, it wasn’t the US government, the Air Force Office of Special Investigation (AFOSI) or any other official agency. First, however, one question that has not been answered. If the document is authentic and if there were UFO crashes on the Plains of San Agustin and at Aztec, New Mexico, why is there no mention of either event in this briefing? 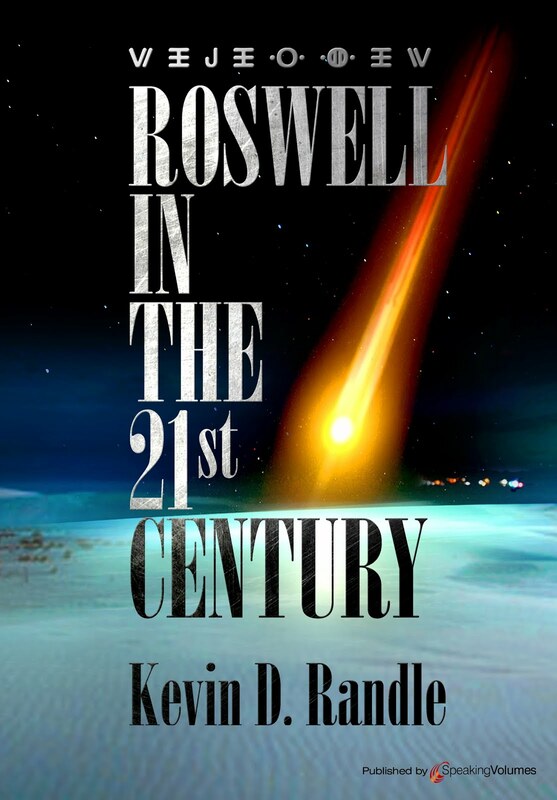 It covers the Roswell crash and references one near Del Rio, Texas. It would seem that if a briefing was prepared to advise the President-elect, in this case Dwight Eisenhower, it would cover everything on the subject. That those two events were left out seem to indicate some kind of fraud somewhere. That, however, is not the main point in this discussion. What I’m looking at is the case from Del Rio, Texas, as reported in the EBD. It said, "On 06 December, 1950, (sic) a second object, probably of similar origin, impacted the earth at high speed in the El-Indio – Guerrero area of the Texas – Mexican boder [sic] after following a long trajectory through the atmosphere. By the time a search team arrived, what remained of the object had been almost totally (sic) incinerated. Such material as could be recovered was transported to the A.E.C. facility at Sandia, New Mexico, for study." The only report I know of that talks of a crash in December 1950 and on the Texas – Mexican border came from a man who said that he was a retired Air Force colonel. He originally told the story, in the late 1960s, to a reporter in Pennsylvania who was asking Civil Air Patrol (CAP) pilots a bout UFO sightings. 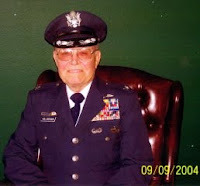 Robert B. Willingham (seen here in his "Air Force" uniform) said that he had seen something fall close to the border. That story was sent on to the National Investigations Committee on Aerial Phenomena (NICAP) in Washington, D.C., where it sat unnoticed for more than a decade. I now wonder if those making the original report about the story might have gotten the organization wrong. This will become clear later. W. Todd Zechel, a researcher of mediocre ability, found the story and tracked down Willingham. He got an affidavit from Willingham, signed in 1977, giving additional the details of the crash. At the same time, Zechel was talking to William Moore about the case, hoping to write a book about it. In fact, in The Roswell Incident, Moore wrote, "Then a second group, Citizens Against UFO Secrecy (CAUS) was formed in 1978 under the directorship of W. T. Zechel, former research director of GSW [Ground Saucer Watch] and a one-time radio-telegraph operator for the Army Security Agency. CAUS’s announced aim was nothing less than an ‘attempt to reestablish that the USAF (or elements thereof) recovered a crashed extraterrestrial spacecraft’ in the Texas – New Mexico – Mexico border area sometime in the late 1940s emphasis added)." According to the work done by Len Stringfield, the original crash story was of an event in 1948, but it was after Zechel entered the case that the date shifted to December 6, 1950. The best evidence was the affidavit signed by Willingham, who was the witness and who, as a retired, high-ranking officer, gave credibility to the report. But it seems that no one had bothered to check Willingham’s military record. I asked a number of people about it and they all assumed that Zechel had done so. I saw nothing to verify this, so I attempted to do it. Robert B. Willingham, according to the Air Force Records Center in St. Louis, entered the Army in December 1945 (which technically makes him a veteran of World War II) and left the Army as an E-4 in January 1947. That is all the military service that I have been able to verify and we all now know how accurate that information is (see National Personnel Records Center and UFO Witnesses from February 6, 2010). I did learn that he had a long association with the Civil Air Patrol and I have seen a plaque given to Lieutenant Colonel Robert Willingham for his years of service to the CAP. It is dated 1948 to 1973 and was from the Pennsylvania Wing, meaning he was in Pennsylvania at that time, which is in conflict for some of his claims of lengthy military service. For those who don’t know, the CAP is an official auxiliary of the Air Force, but the members are all volunteers who have no real standing in the Air Force. Twenty years of service to the CAP doesn’t qualify one for a retirement pension from the military. Those who serve perform a valuable service in search and rescue and during times of local emergency. They just aren’t Air Force officers even though they wear modified Air Force uniforms and are addressed by military rank. And if all that is true, then Willingham’s story, of seeing a UFO crash falls apart because he wasn’t an Air Force fighter pilot as he claimed, is not a retired military officer as he claimed, and wouldn’t have been in a position to see what he claimed to have seen when he claimed to have seen it. But even if Willingham was less than candid about his military service, he now claims that the crash didn’t take place in 1950. That had been Zechel’s influence. According to Willingham he had seen the crash in 1954, or 1955, or maybe in 1957. He is no longer sure of the date. He only knows that it wasn’t in 1950... and even if Willingham is telling the truth now, it suggests that the information about Del Rio as it appears in the EBD is inaccurate which undermines the validity of MJ-12. Of course, nothing is that simple in the world of the UFO. I had searched for the original article because I wanted to know what it said, in relation to what the 1977 affidavit implied and what Willingham has said over the last five or six years. While I have been unable to locate the newspaper article, I have found the next best thing. Col. R. B. Willingham, CAP squadron commander, has had an avid interest in UFO’s for years, dating back to 1948 when he was leading a squadron of F-94 jets near the Mexican border in Texas and was advised by radio that three UFO’s "flying formation" were near. He picked them up on his plane radar and was informed one of the UFO’s had crashed a few miles away from him in Mexico. He went to the scene of the crash but was prevented by the Mexican authorities from making an investigation or coming any closer than 60 feet. From that vantage point the wreckage seemed to consist of "numerous pieces of metal polished on the outside, very rough on the inner sides." So, let’s connect the dots. We know that Willingham told his story to a reporter in the late 1960s and that article may have gone to NICAP but certainly found its way to MUFON. Zechel allegedly discovered the article in the NICAP files and tracked down Willingham who confirmed what he had said and even signed an affidavit about it in 1977. Zechel, in communication with Bill Moore, told him about the Del Rio crash and provided details, which is verified, to an extent by the paragraph in The Roswell Incident. Bill Moore’s friend, Jaime Shandera received, in the mail, the film on which, when developed, he and Moore found the EBD. That document contains the information about Del Rio that we all now know is inaccurate, to put it kindly. Now, if there was no Del Rio crash, then there is no reason for it to be mentioned in the EBD... and if it is, then the document must be a fake. Even if you accept the last dates provided by Willingham, the crash happened years after the document was written and couldn’t have been included unless the writer was clairvoyant or wrote the document sometime after 1952. There is no other evidence of a crash at Del Rio. There are no hints in other documents, no other witnesses contrary to Willingham’s claims, and nothing to support the idea. Eliminate it completely, and the EBD falls with it. Change the dates because of what Willingham has said and the EBD fails again. This might be the final proof that the document is a fake... especially when all the other evidence is added in. This should put the whole thing to rest (though I now expect the vilification to begin). It seems that the Maury Island hoax has reared its ugly head once again in an article in which the author proclaims that it is a... HOAX. And this is news? Captain Ed Ruppelt called Maury Island the dirtiest hoax in UFO history in his 1956 book. Jerry Clark, in the first version of his massive UFO encyclopedia refers to the Maury Island hoax. I call is a hoax in my latest book, Crash: When UFO’s Fall from the Sky (yet another shameless plug). Here is what I said about Maury Island, in the book, which was officially published on May 20, which is prior to the posting of the lastest Maury Island is a hoax story. Kenneth Arnold’s "flying saucer"sighting of June 24, 1947, when he learned of it, excited the editor of a science fiction magazine, Ray Palmer. Palmer had taken a science fiction magazine on the verge of folding and turned it into one with wide circulation in a matter of months. One of the stories, or more accurately, a series of stories, were the tales of Richard Shaver that Palmer hinted were true and that he credited with the amazing turn around of the magazine. Shaver, in his rambling style, told of an underworld accessed through deep caves, of a war between the Deros and Teros, two "robot" societies, one good and one bad and of their impact on the human race. Almost all that impact was bad in our world could be traced to the evil robots. By coincidence, the June 1947 issue of Amazing Stories was filled with more of Shaver’s tales. Palmer had suggested as he published the stories, that these underground entities, good and bad, did leave their caves occasionally, and when the flying saucers first appeared in over Washington state in June 1947, Palmer was convinced that this was the proof of the reality of Shaver’s tales. In fact, in an editorial published in October 1947, Palmer excitedly wrote, "A part of the now world-famous Shaver Mystery has now been proved!" When the Arnold story broke in the national press, Palmer saw the opportunity to publicize his case and by doing that, validate the Shaver mystery. Palmer, as did so many other times, wrote to Arnold, asking that he, Arnold, prepare a report for the magazine. Arnold didn’t want to do that but did send Palmer a copy of the report that he had written for the Army Air Forces. In a few days, Palmer wrote again, this time telling Arnold that he, Palmer, had a letter from a harbor patrol officer telling of a flying saucer sighting three days before Arnold had seen anything. Palmer asked if Arnold would investigate and Palmer would pay him $200, which, in 1947, was quite a bit of money. The story, as it was told by Palmer and later by the harbor patrolmen, was that Harold Dahl, his teenaged son and two other harbor patrolmen sighted six doughnut-shaped objects in the sky near them. Five of the craft seemed to be circling the sixth which was in trouble. As that object passed overhead, no more than 500 feet above them, it started "spewing a white type of very light weight metal," and some kind of "dark type metal which looked similar to lava rock." That injured Dahl’s son and killed the dog. When the object stopped dropping the metal, it took off but not before Dahl took some pictures of it. In another, slightly different version of the story, the sixth object landed, or crashed, on Maury Island in Puget Sound and disintegrated, leaving behind some strange debris or some kind of residue. Dahl collected some of this material and then returned to Tacoma, Washington. Now things get a little more confused. According to what Dahl told Arnold, he hadn’t said a word to anyone about the damaged object but the next day a dark-suited stranger who seemed to know everything about the sighting appeared to warn Dahl not to talk about it. But Dahl ignored this warning and told his "supervisor" Fred Crisman about it. Crisman then went out to the beach and found some more of the metallic debris, or so he said. He collected his own samples, which, when you think about it, makes Crisman almost as important as Dahl to the story. Having interviewed Dahl, or rather talked to him, Arnold and Dahl then headed to Crisman’s home to interview him. Crisman showed Arnold the debris that he had recovered but Arnold was unimpressed. He recognized it as lava and began to suspect the story being told was a hoax. Even with his suspicions aroused, Arnold wasn’t sure what he should do. He called Captain E. J. Smith, a United Airlines pilot who, along with his crew and passengers, had seen several disk-shaped objects during a flight on the July 4, 1947 weekend. Arnold, as a private pilot, had respect for Smith, an airline pilot, and Smith joined Arnold in Tacoma to assist in the investigation. For those interested in such things, Arnold had Room 502 in the Winthrop Hotel. The next day Crisman and Dahl visited Arnold at the hotel. Crisman now added a new detail. He told Arnold that when he had gone to the beach, he’d seen one of the doughnut-shaped flying saucers that seemed to be searching the bay for something. Crisman, who hadn’t been on the boat when the six objects had been seen, now dominated the conversation, as if he knew everything about the situation. Arnold was less than impressed with all this and ordered breakfast in his hotel room. There wasn’t much talk as Arnold ate and read some of the newspaper clippings he had brought with him. Later Arnold would tell others that one story caught his attention. Flying saucers over Mountain Home, Idaho had dropped or expelled cinder or lava ash. Here, suddenly, was another, independent report about a craft, or several craft, dropping the same kind of material that Dahl and then Crisman had talked about. Sometime in the night, Arnold received a call from Ted Morello, a reporter for the United Press, and who seemed to know everything that had happened in Arnold’s room during his discussions with Dahl and Crisman. Fearing the room was bugged, Arnold and Smith began looking for hidden microphones. They found nothing. The next morning, at the hotel, but downstairs, Dahl and Crisman introduced Arnold to a couple of tough-looking men who were supposed to be the crew who had also seen the object. Arnold didn’t question them but did study some of the debris that Dahl and Crisman had brought with them. Arnold thought it looked more like aluminum such as that used in large military aircraft rather than something from another world. That wasn’t all. Dahl, or Crisman, also suggested that photographs of the objects had been taken. Crisman had the film, he said, which had been given to him by Dahl. Once they saw the film, everyone would know the truth. Pictures wouldn’t lie. Well, in 1947, it was believed that pictures wouldn’t lie. Arnold didn’t know what to do at this point. There was physical evidence and there were photographs, but the story told by the men seemed to have holes in it. 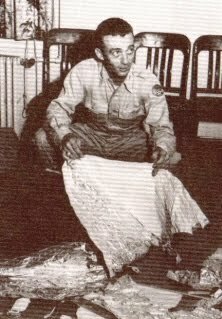 During the Army Air Forces investigation of his sighting, Arnold had been interviewed by an officer from the Fourth Air Force, Lieutenant Frank Brown. Arnold decided to call him and let him take a turn at trying to figure all this out. 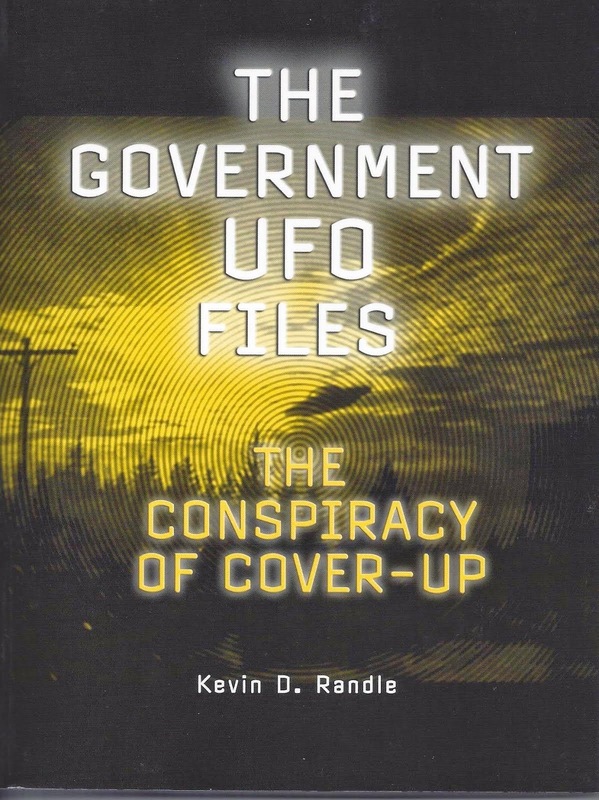 Ed Ruppelt, one time chief of Project Blue Book, the Air Force study of UFOs, put it this way, "For the Air Force the story started on July 31, 1947, when Lieutenant Frank Brown, an intelligence agent at Hamilton AFB, California, received a long-distance phone call. The caller was a man whom I’ll call Simpson [which, of course we all know was Arnold, Ruppelt changed the name because of privacy considerations] who had met Brown when Brown investigated an earlier UFO sighting... He [Arnold] had just talked to two Tacoma Harbor patrolmen. One of them had seen six UFOs hover over his patrol boat and spew out chunks of odd metal." Brown left California with another officer, Captain William Davidson and they met with Arnold at his hotel in Tacoma. Arnold showed the two officers the fragments and both apparently recognized it as worthless slag which probably hadn’t come from a flying saucer and lost interest. Neither told Arnold this, apparently not wanting to embarrass him. Ruppelt later wrote, "Simpson [Arnold] and his airline pilot friend [Smith] weren’t told about the hoax for one reason. As soon as it was discovered that they had been ‘taken,’ thoroughly, and were not a party to the hoax, no one wanted to embarrass them." Davidson and Brown, claiming they had to return their aircraft to California went back to McChord airfield where their B-25 was parked. They spoke, briefly, with the intelligence officer there, Major George Sander, telling him that they believed Dahl and Crisman had made up the tale. Not long after take-off, the engine on the left wing caught fire and though the two passengers, the crew chief Woodrow D. Matthews and a "hitchhiker" identified as Sergeant Elmer L. Taff, bailed out safety, the wing burned off and smashed into the tail. The aircraft spun out of control and neither of the pilots, Brown nor Davidson got out. They were killed in the crash. The story had suddenly turned deadly. The Army Air Forces, or maybe more appropriately, the FBI, investigated and learned that contrary to published reports, there was no sabotage of the aircraft and no one had shot it down. It was a tragic accident that seemed to focus more attention on the UFO sighting than it warranted. Ruppelt in his 1957 book, The Report on Unidentified Flying Objects, wrote, "Both - (the two harbor patrolmen, Dahl and Crisman] admitted that the rock fragments had nothing to do with flying saucers. The whole thing was a hoax. They had sent in the rock fragments to [Ray Palmer] stating that they could have been part of a flying saucer. He had said the rock came from a flying saucer because that’s what [Palmer] wanted him to say." The Army Air Forces, then, found a solution to the case and although two men had been killed investigating it, that had nothing to do with the UFO sighting. The men were not prosecuted for inventing the story. According to Jerome Clark, Arnold apparently never learned the truth about Maury Island. As late as 1977, Arnold was still talking about the case. He also used it in an article he did write for the first issue of Fate and in his book, written with Palmer called The Coming of the Saucers. But there was another problem, as laid out in the Project Blue Book files about the case and in the FBI document that is a part of the file. The mystery caller, who had been telling reporters everything that went on in Arnold’s room, was able to substantiate part of the tale. The first wire stories of the crash didn’t mention the names of the officers killed, but the mystery caller knew them anyway. He suggested that the aircraft was shot down, by 20 mm cannon, and that was because it carried some of the fragments picked up in the Maury Island area. He suggested that if he had the names of the officers killed right, then they could believe that the rest of his information was also correct. It turned out that the mystery caller had the right names and the Tacoma Times, and a few other newspapers including one in Chicago, carried the story that the B-25 had been shot down. Ted Lantz, one of the reporters learned that both men had been intelligence officers. With that story out, the Army Air Forces, among other agencies now had to find the truth. But the story turns again. The mystery caller turned out to be one of the two harbor patrolmen, so of course, he knew what had gone in Arnold’s room, knew the names of the pilots killed because he had met them, and, of course, with that information verified, the newspapers printed the rest of his information. I flew my last combat mission on May 26  when I was shot up over Bassein and ditched my ship in Ramaree roads off Chedubs Island. I was missing five days. I requested leave at Kashmere (sic). I and Capt. (deleted by request) left Srinagar and went to Rudok then through the Khese pass to the northern foothills of the Karakoram. We found what we were looking for. We knew what we were searching for. For heaven's sake, drop the whole thing! You are playing with dynamite. My companion and I fought our way out of a cave with submachine guns. I have two 9" scars on my left arm that came from wounds given me in the cave when I was 50 feet from a moving object of any kind and in perfect silence. The muscles were nearly ripped out. How? I don't know. My friend has a hole the size of a dime in his right bicep. It was seared inside. How we don't know. But we both believe we know more about the Shaver Mystery than any other pair. You can imagine my fright when I picked up my first copy of Amazing Stories and see you splashing words about the subject. What surprised me here is that Crisman knew about the Second Air Commando, which did serve in CBI Theater, and the place names all have the ring of authenticity. Of course for a con to work, there must be some elements of truth in it and these little nuggets put Crisman into the right place at the right time to tell his otherwise outrageous story. Besides, Palmer now had another man telling "eyewitness" stories of the Deros and the Teros. Palmer kept that mystery alive as long as he could, but the Army was more than annoyed about the deaths of two officers for what seemed to be nothing more than a magazine article and some science fiction stories. The investigation, that included the FBI, resulted in both Crisman and Dahl saying that it had been a hoax that had gotten out of hand. They had never meant it to be taken nearly as seriously as it was. In fact, Crisman tried to blame Palmer, saying he only told Palmer what Palmer wanted to hear. But it was Crisman who contacted Palmer with his story of debris from a flying saucer and while it might be suggested that Palmer ignored the shaky nature of the information and evidence, it was Crisman who was there pushing his own agenda. Palmer knew Crisman from his earlier letter, which was published without a name attached. Palmer would later admit that Crisman was the author. The military investigation, or rather the documents in the Project Blue Book files suggest that neither Dahl nor Crisman were harbor patrolmen, but owned a salvage boat which they used to patrol Puget Sound for anything they could find. Ruppelt suggested they had a couple of beat up old boats they used in their salvage work. Others who investigated privately later said that the characterization of the boats was unfair. They didn’t have a couple of boats, they had a single boat known as the North Queen which was only five years old and had been renovated not long before the sighting. Palmer, of course, was not going to allow Ruppelt or the Air Force destroy a good story. He claimed that Crisman wanted investigators to believe the story was a hoax. Crisman suggested that the Maury Island case could not be separated from the Shaver mystery and that flying saucers didn’t come from outer space but from the inner Earth. Maury Island proved that, at least in Crisman’s mind and if Palmer didn’t believe it, he sure wanted to promote it. The Shaver mystery had boosted the sales of his magazine by tens of thousands. The metallic debris, that everyone had been so concerned about, was identified as slag and suggested it bore a resemblance to similar material from a smelter near Tacoma. Although some suggested the slag had been radioactive, there is nothing in the FBI report to confirm this. But to show that some things just can’t be simple, Crisman pops up on the radar in the late 1960s as New Orleans district attorney Jim Garrison began to investigate Clay Shaw and his relation to the Kennedy assassination. Crisman became one of the minor players when it was claimed that he was one of the three hobos seen in the railroad yards not long after the fatal shots had been fired. Crisman was in the photograph of the hobos that has become part of the assassination legend. So now we have moved from the possible crash of an alien spacecraft, to the possible crash of a craft from the inner Earth, to a story of a disabled craft that dumped metallic debris and maybe disintegrated, to the Kennedy assassination. But in all that, we have seen no evidence of anything extraordinary. There are only the tales told by Dahl and Crisman and even those are undercut by retractions of the two men. They both told investigators that the story had started as a joke and that it had gotten out of hand. Dahl’s son, Charles, located years after the event, said that it had never happened. Of Crisman, Charles Dahl said he was a smooth-talking conman and that the Maury Island incident was a hoax. It should be noted that no material with anything unusual about it has ever surfaced, though Crisman had suggested in the 1960s he still had some of it. The photographs were supposedly taken by the military, through no one ever saw them and in the 1960s, Crisman suggested that he had made duplicate negatives so that the military had not gotten them all, but, of course the pictures never surfaced. Finally, in Crisman’s obituary, they mentioned his military service and suggested that he had received the Distinguished Service Cross. No record to support this has been found and it is easy to check these things online these days. It’s probably only fair to note that nothing suggests Crisman made the claim. It surfaced after he died. I have, in the past, received a number of emails about Project Blue Book case #1313. For those who don’t know, there is a long index of all the Project Blue Book cases, beginning with #1 (which is not the Kenneth Arnold sighting, but one labeled as "Summer 47 – 48, a partially blacked out location and then a note that says it is a File ((INFO) meaning they didn’t investigate) to #12,750 (which is a civilian case from Dec 1969 and was labeled as insufficient data). The case that has reached some level of fame is #1313 from June 20, 1952 in Korea reported by Marine Corps pilots. I received a couple of emails about it but there wasn’t much information in those emails and frankly, I was busy with various projects including finishing my last tour with the National Guard. But the last couple of emails intrigued me, so I thought that I would look it up. According to the information I found, case #1313 was a report from two operations NCOs who saw a glowing object about four feet in diameter. It was from Korea and was labeled as "unidentified." Not too impressive and it didn’t involve any Marine pilots as those emails had suggested. I was confused by that. I checked the cases on either side but found nothing. I did find a comprehensive database that listed all the Project Blue Book unidentified sightings and on it, case #1313 said, "June 20, 1952. Central Korea. 3:03 P.M. 4 USMC Capts. and pilots of F4U-4B Corsair fighters with 7302nd Sqd saw a 10 –20 ft. white or silver oval object make a left-hand orbit at terrific speed." That is not what I had found. So, I searched a little deeper and found case #1323, also unidentified and also from Korea. This was the one that was the subject of the emails. Sometime right after the Project Blue Book files were declassified, someone confused the two Korea entries and labeled the second as #1313 rather than #1323. At 1415/I I took off from K–6 [airfield designation], Korea with five F4U-4B’s on a prebriefed flight to work a Close Air Support flight with the First Marine Division. We reported in to Shirley, Bromide, Dentist, Anaconda, Devastate Baker and Childhood 14, our TAC(A) [which would be the control for the Close Air Support mission]. We were directed to our target by our TAC(A) and we were in a left orbit over the target at CT091129 [grid coordinates]. At 1503/I I observed a white or silver object below me on a north course. At the time I was on an east heading observing the object down at 2 o’clock passing below and in front of me. The object was coming from friendly area. I thought at first it was a shell but observed that it was in a left turn and not in the shape of an artillery shell. This object made a 630 degree turn and was in sight at all time. It made a approximately a 4 mile circle and retired to the east toward friendly lines. At 1504/I I notified my flight when the object was over the target and 4 of 5 saw it over the target. I estimate object was 10' to 20' in diameter. Bomb craters on the ground were about 3 or 4 times as large as the object and I later estimated the bomb craters to be 40' to 50' in diameter. It circled our target area and retired east. I started a dive on the object and at an indicated speed of 250 knots at 4000 feet the object went out of sight still low on the ground (below 1000') estimated speed 1000 MPH or 4 times mine. I pulled back into flight and we continued our Close Air Support flight. This is my first sighting of such an object. The other pilots who saw the object gave statements, but none were as detailed as that of Foster. These included Captain Richard Francisco, Captain T. L. Pittman, and Captain Ronnie A. McDonald. That evening, Foster wrote home and told his family about the UFO sighting. He wrote the same thing he did in the report that went to Blue Book, adding that his other pilot, who hadn’t seen the object right away, saw it later. He didn’t know if there were any ground sightings. He also mentioned that there had been a lot of flying saucer sightings in the area, which is interesting. If nothing else, I have been able to correct a minor mistake in this case. It really matters little if it was #1313 or #1323. Both are unidentified, both took place in Korea, both out of the same field and both by military personnel. There are no other important details in the cases. Just a little bit of history that needed to be told. This poll, unscientific though it is, certainly opened my eyes and made me ask, "Are 78 of you crazy?" Here is a case in which nearly everyone involved has admitted to making it up. Ray Santilli told us all, years ago, the tent footage was faked. We have people who were involved in all levels of this thing coming forward to tell of their roles in creating the various footage. Why, they even explained how that English word, "video" ended up on a rather crude I-beam that was supposed to have come from a wrecked flying saucer. And 78 of you still think that some or all of the autopsy footage is real. What will it take to convince you otherwise? Almost every UFO researcher or investigator who has expressed any opinion on this said that it was a hoax. There are so many red flags flying over the case that it looks like a May Day parade in Moscow. The story has changed so often that you need a scorecard to keep up. If there were any more twists in this tale, it would look like a deformed pretzel. And 78 of you still think there is something real here? I thought this one would be a slam dunk for rational thought. I believed that there were be a couple of people who wanted to hang onto the belief there was something of value in the autopsy footage... but 13% of the respondents in the poll? Well, the results showed that 39 people (7%) thought it was real. Ten people (1%) thought it was mostly real. Twenty-nine people (5%) thought it was partially real. Thank goodness for the 466 (85%) who said that it was a hoax. I mean, how much evidence do you believers in this require? Admissions don’t seem to be enough. Evidence of fakery isn’t enough. Photographs of the process of creating the hoax don’t do it. Just what do you require? I will note here, quickly, that there are some other great UFO hoaxes that have yet to be wiped from the field. Admitted hoaxes that don’t seem to convince the diehards. Carlos Allende said he made up the Allende Letters, but there are those who won’t listen. Frank Kaufmann was exposed when his real documents were found but there are those who think he was a disinformation agent. Gerald Anderson admitted to creating a fake telephone bill, was caught with other forged documents, and people still believe his nonsense. Anyway, those are the results of the poll. I am stunned that so many still believe in this autopsy nonsense, but then, there is no convincing some, regardless of the facts.